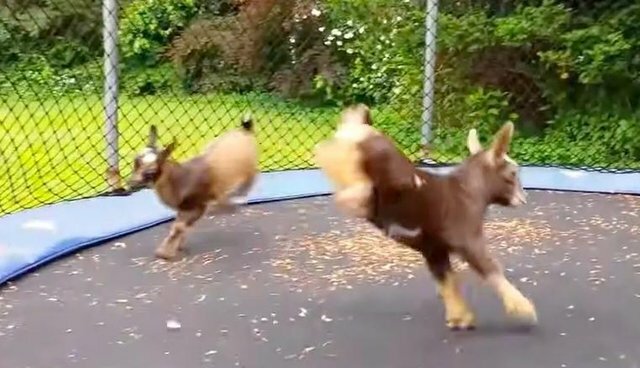 No one in the world is as happy as these baby goats bouncing around on a trampoline. Watch them hop around adorably. They're totally confused about why everything is so bouncy, but they're also totally loving it. They're getting some serious air. 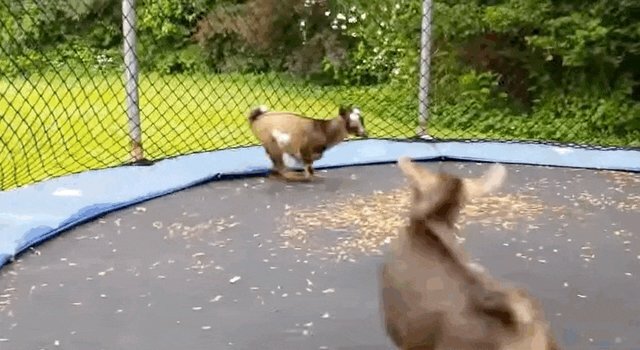 Hop along, little goats, hop along.